The Olympic Games are starting Aug. 5, so it’s the perfect time to bring some Olympic-themed learning and play into your classroom or home. 3 Dinosaurs has an Olympics pack of printables for use with kids ages 2 to 7. 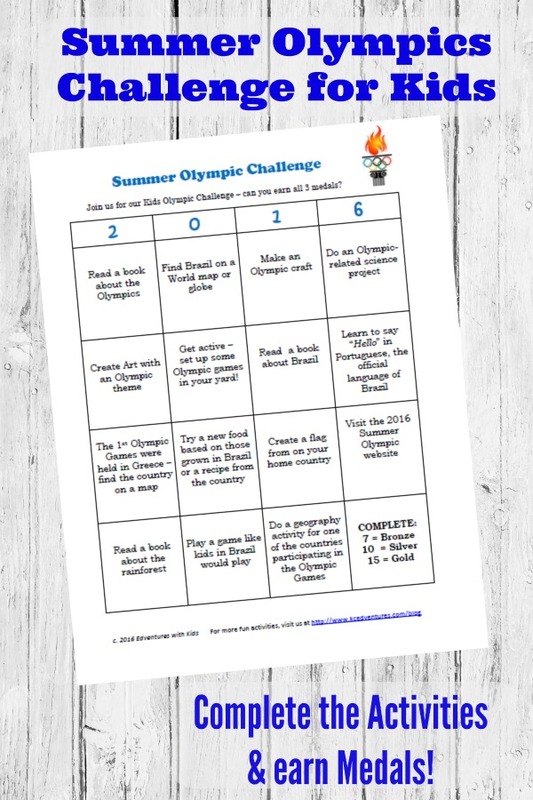 It includes cutting and writing practice, dot marker pages, counting, puzzles and more, all with a summer Olympics theme. And if you have a preschooler you’ll love these Olympics activities from Parenting from the Heart. There’s another great roundup of Olympics activities from around the web at the Chaos and the Clutter. You’ll especially want to check out her ideas for hosting your own backyard Olympics. Also look at I Can Teach My Child for a DIY Olympic torch, an Olympic ring pretzel craft/snack and more. Use basic LEGO bricks to make the Olympic rings, with instructions from Little Bins for Little Hands. Or paint rocks with the national flags of participating countries, which you can see at Non-Toy Gifts. After all that playful learning your kid deserves a medal, so why not make gold, silver and bronze playdough with a little help from metallic crayons? The instructions are at Sugar Aunts. Are you excited about the Olympics? What’s your favorite event? I think my daughter will love watching gymnastics.